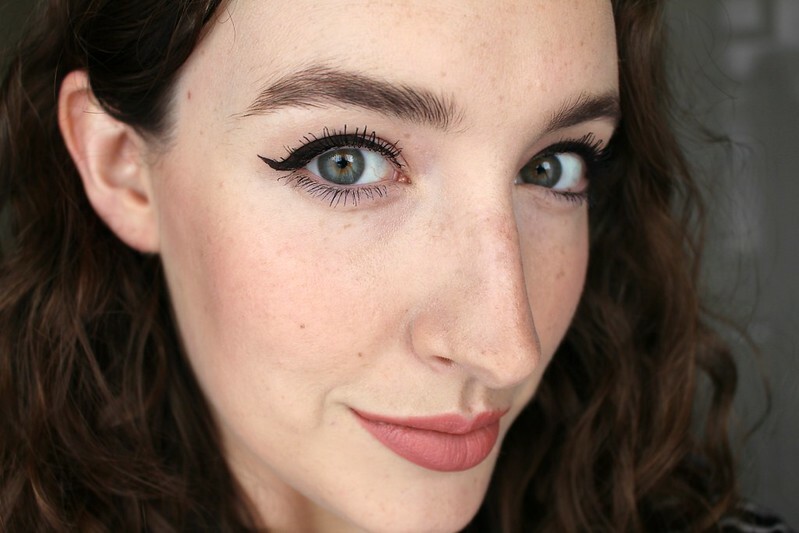 I recently went to a press reveal of the latest launches from Lancôme- Grandiôse Liner, Grandiôse Extrême Mascara and Sourcils Styler Brow Mascara. I've been trying out all three products for a couple of weeks now and I can safely say I'm a big fan of all three. 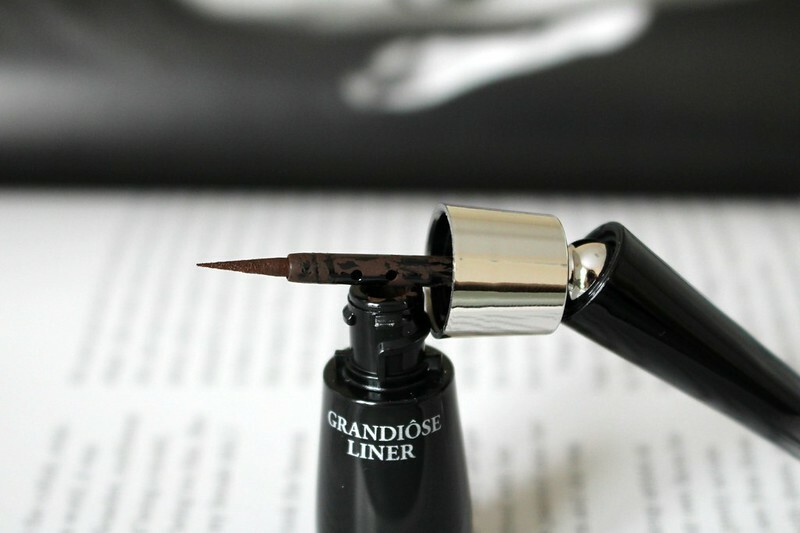 Beginning with what I think is the most exciting of the three new releases, the Grandiôse Liner. 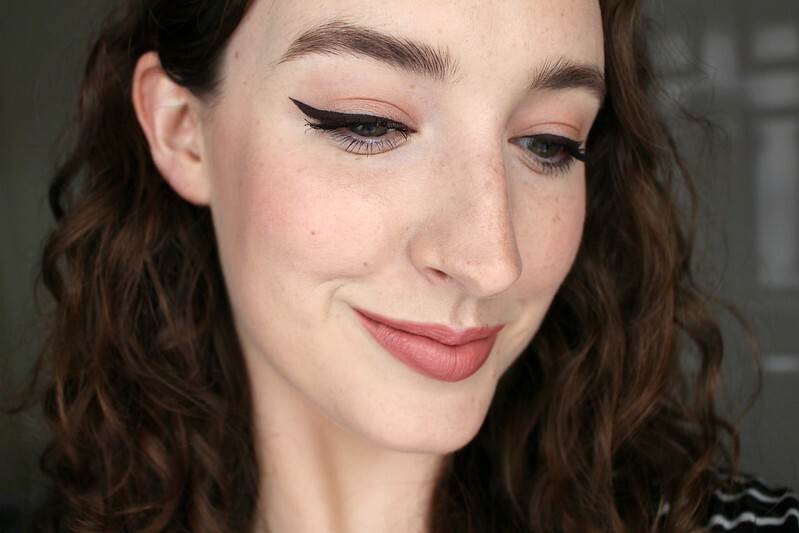 The unique selling point of this liner is the wand. It clicks to a 35 degree angle so that it can be used either straight or curved making application much easier for the user. It also has a densely pigmented, matte formula for extra drama. It comes in three shades Carbon Black, Deep Brown and Sapphire Blue. I have the deep brown shade and although I would usually go for black, the brown is very dark, almost black but not as dramatic as a full on black which I actually liked more than I thought I would. 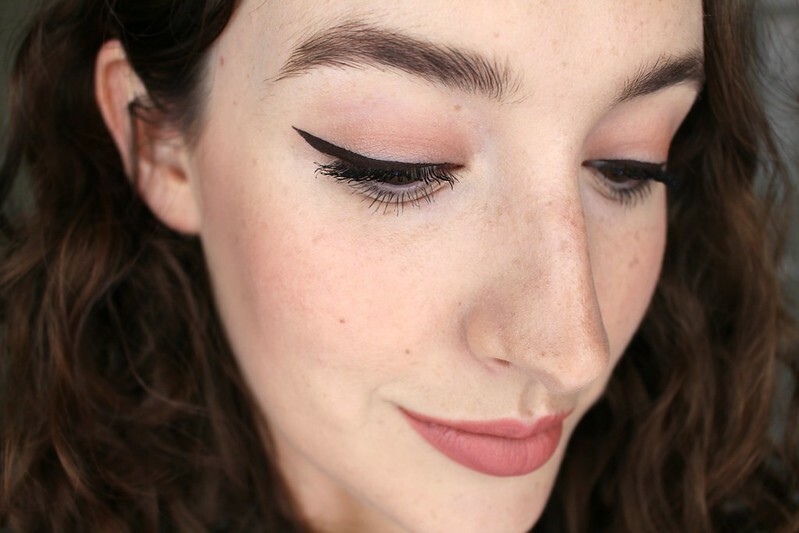 I think it makes it more wearable for anyone who is a little shy about trying winged liner. I like to think I'm a bit of an expert when it comes to liquid liner. I've tried so many different brands and brushes over the years and some of my favourites include Urban Decay 24/7 Waterproof Liquid Liner in Perversion (which I have heard might be discontinued and if it is I will be devastated!) and L'Oréal Super Liner. Grandiôse is definitely up there with the best. I'm all about getting a sharp line as quickly and easily as possible and this does just that. I was sceptical at first about the angled wand, thinking it could just be a marketing gimmick but I was quickly proven wrong. I was genuinely surprised by how much easier it was to apply by bending the wand for certain parts of the application and clicking it straight again at other times. The brush is flexible and comes to a really thin point making it a lot easier to get a really sharp line. 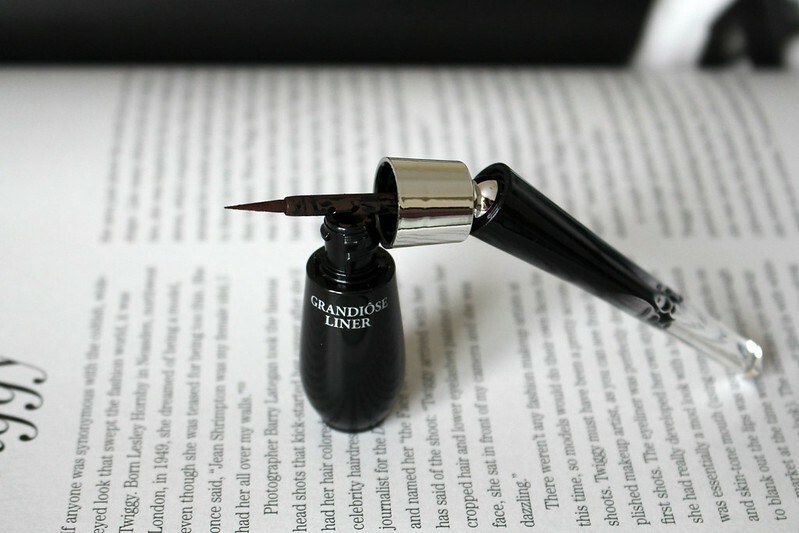 It also deposits just the right amount of liquid which is something I've found to be a big problem with a lot of the other liquid liners I've tried. You'll probably need to shake it up again to continue the application depending on how long and thick you want the line to be. I find that the formula is opaque from the first application which again is something that doesn't happen with other liners. I love that this dries to a matte finish, I don't think I've ever gotten a matte finish from a liquid liner but I think it just looks so much nicer than an eyeliner that dries to a more shiny finish. As for staying power, it's not waterproof but it is smudge proof and very long-lasting as I found out when I first swatched all three shades on my hand at the press meeting. I washed my hands several times without the lines budging and I actually ended up taking them off with make up remover that night. Grandiôse Liner is priced at €29 and it available now at Brown Thomas and in Debenhams, Boots and all Lancôme counters from July 1st. 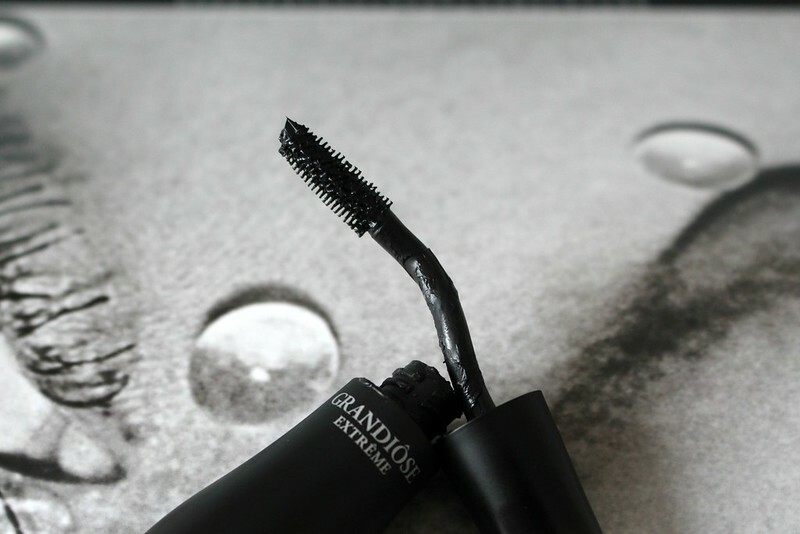 Grandiôse Extrême promises to be an amped up version of the original Grandiôse Mascara. If you've used the latter you'll know that it already packed quite a punch, but this new formula and brush give your lashes even more impact. The first difference is that it comes in sleek matte black packaging. The Swan-Neck wand is the same as before and allows for all different eye shapes to apply the mascara from inner to outer corner with ease. I find the brush is shorter than most other mascaras that I've used which allows you to get right into the inner corner. The bristles are more tightly packed which gives more volume particularly if you rest the brush at the base of the lashes and wiggle it through to the tips of the hairs (a top tip from Lancôme make up artist Laura Pye). With this technique I find you get amazing volume and because the formula is that perfect middle ground of not being to wet or too dry, you can apply a second coat with ease if you want even more volume. You can see in the photo below that my lashes are volumised, lengthened and defined but not clumpy. The formula is smudge resistant and lasts up to 24 hours. I don't get any transfer under my eyes throughout the day, whether it last 24 hours I can't tell you because I don't know anyone who wears mascara for 24 hour straight, so I'll have to take their word for it. 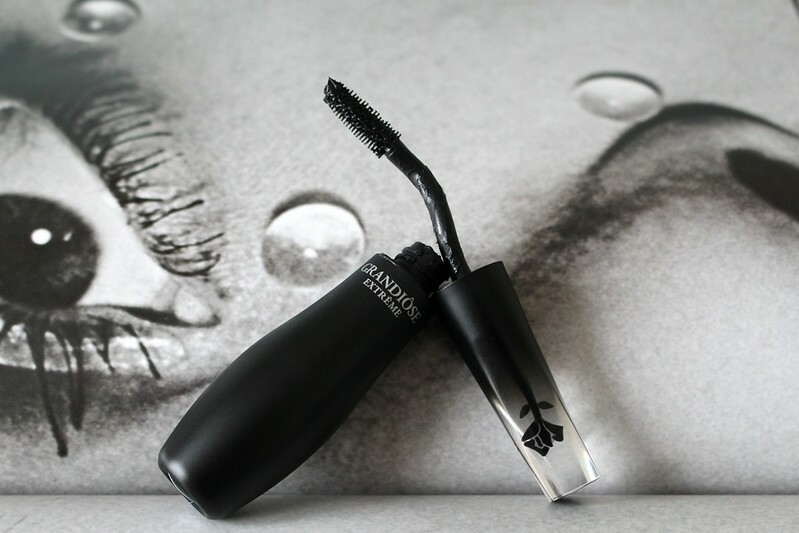 This could be a good one for people who want long lasting wear but hate the fuss of waterproof mascaras. I'm so impressed with this mascara, it's one of the few that I'd happily wear alone with no other eye make up as it gives such impact to your lashes. 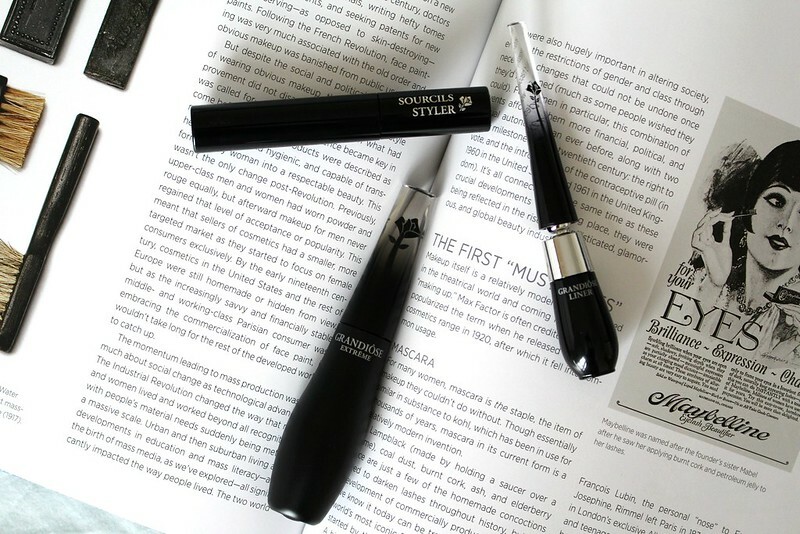 The closest I've come to it at a lower price point is the Bourjois Volume Clubbing mascara which has a much bigger brush and is nowhere near as easy to apply. Grandiôse Extrême is priced at €31 and is available at Brown Thomas now and in Boots and Debenhams from July 1st. Last up is the new brow mascara Sourcils Styler, which has been co-created with Lancôme creative director Lisa Eldridge so I had high expectations. At first glance I thought it was just going to be your average Brow Mascara, nothing special and certainly not warranting the €25.50 price tag. However the more I use this in comparison to the other brow mascaras I have, the more impressed I am with it's design. One of the most annoying things I find about brow mascaras is that they deposit too much product and it ends up making the skin around your brows look grubby. That doesn't happen with this brow mascara. The design of the brush is inspired by that of a hairbrush so it colours the hair and not the skin. It's recommended that you brush against the hairs to add density and then in the direction of the hairs for definition and hold. The formula is meant to hold for up to 14 hours and it's smudge resistant so it's been great in the heat. The brush is fanned out so that it can be used on it's side for smaller brows and on the tapered end of the brow to add definition. It comes in four shades, Transparent, Blond, Châtain and Brun. 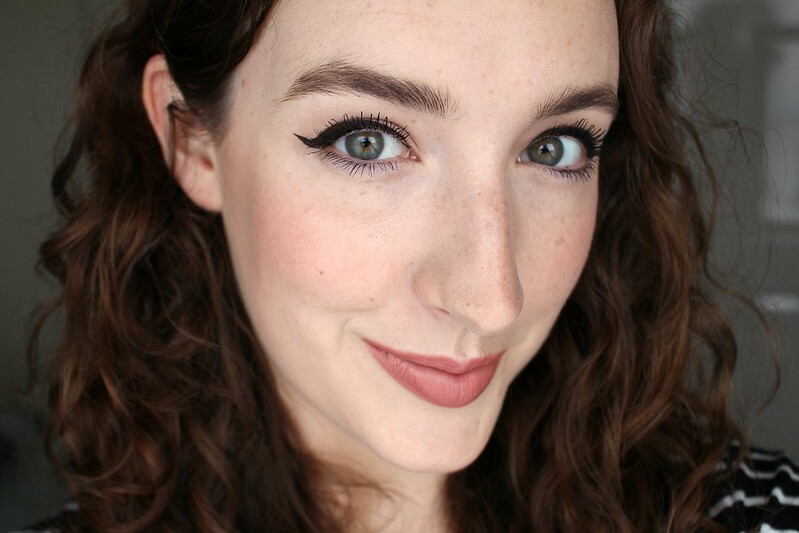 I was given the shade Châtain which is a light brown and I find it quite similar to my natural brow colour. I obviously have quite thick brows already, but that's why I love a product like this. I don't need to do a huge amount to my brows, I just need something to add a little thickness and to define and hold them in place all day. This is such a time saver compared with using a brow crayon, pencil or powder. It literally takes a second to brush this on and I'm good to go. However I can see why this also may be a reason why someone wouldn't like a product like this, if your brows need a bit more filling in you may want to use this in conjunction with a pencil or powder. Is it worth the €25.50 price point? I firmly believe that it is. Having tried similar products and considering the thought that has gone into it's design I feel like this is a superior brow product to others on the market. 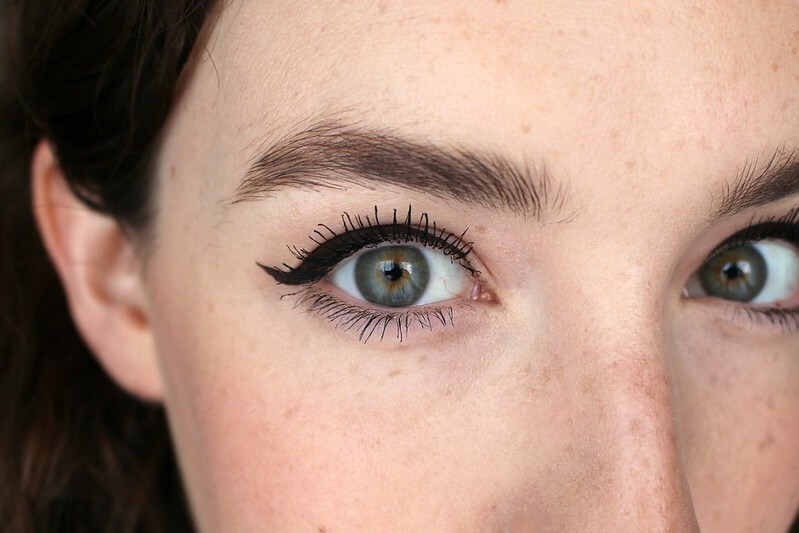 Eyebrows are such an important part of the face and when done badly, they can really affect the rest of the make up. I don't think you can go wrong with a product like this, it's foolproof. Before I got this I was using the Bourjois Brow Design which is the same idea as Sourcils Styler. You can see me wearing it on my brows here. I love the finished result of it, the shade is darker as you can see but it can be difficult to use as the brush is longer (as long as a standard mascara brush) and it deposits too much formula which transfers onto the skin around my brows and because the formula is waterproof you actually need make up remover to get it off. I love that the Sourcils Styler is completely fuss free and easy to apply, it's perfect for everyday use when I'm in a hurry and haven't got time for tricky products. 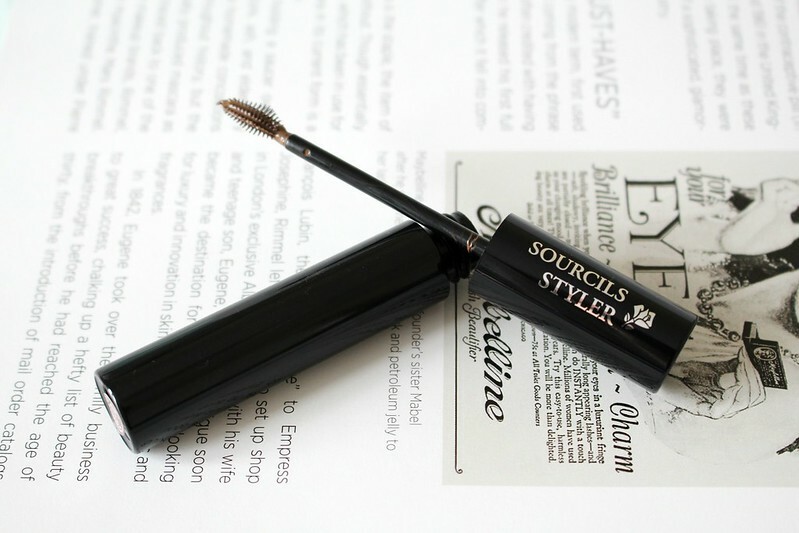 Sourcils Styler is available now in Brown Thomas and Boots and in Debenhams from July 1st. What do you think of these products? 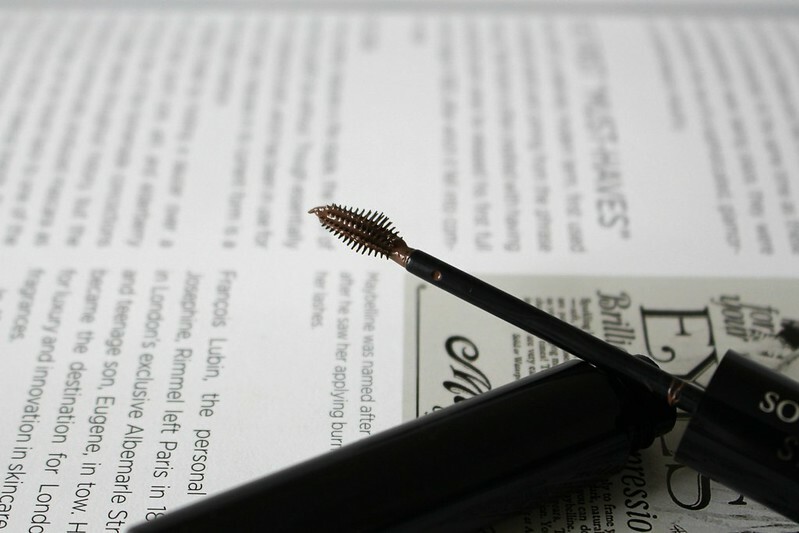 Is there any you'd be interested in trying or do you have any current favourite liners, mascaras or brow products?